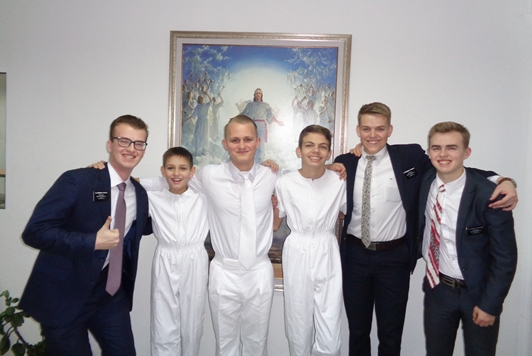 Elder’s Griffeth and Vashenko taught 2 young men who have come to the branch for the past 6 years, and their Mother gave both of them written permission to be baptised. Good job Elders! I’ve know Nikita and Dima since I started serving here in Balti, they’ve come to know and love many missionaries who have served in Balti, and now they are officially members! If I am not mistaken, they will receive the Aaronic Priesthood on Sunday. Dima will be a Deacon and Nikita will be a Teacher.